Last weekend, The Picnic Press hosted my gorgeous cousin, Stephanie, who was visiting us from The Netherlands where she has been living it up for the past year with her boyfriend, Corey, who is a bona fide international DJ sensation (DJ name: Code Black). It’s so cool, I can’t even make that up. Steph has been missing her home-town of Sydney and the weather was smashing so we decided to be tourists in our own city for the day and enjoy what people come to Sydney for. We invited my brother, Adrian, his wife, Kristina (Kiki), and my sister, Nadia to join in. 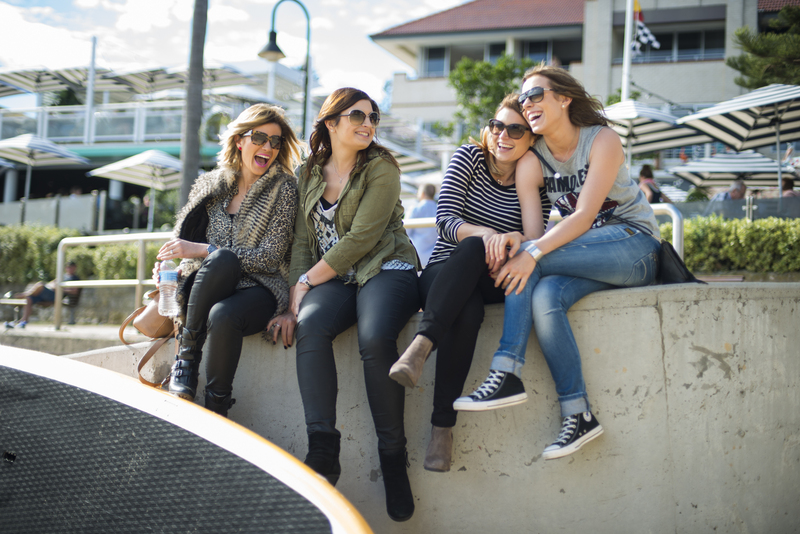 What could be more ‘Sydney’ than sitting by the harbour fending off seagulls while tucking into fish and chips? Adding in a ferry ride, that’s what! There’s something about travelling by ferry that changes your perspective and makes you feel like you are going on a happy adventure. Besides, you really don’t need a car for this picnic as there is nothing to pack other than your picnic blanket. 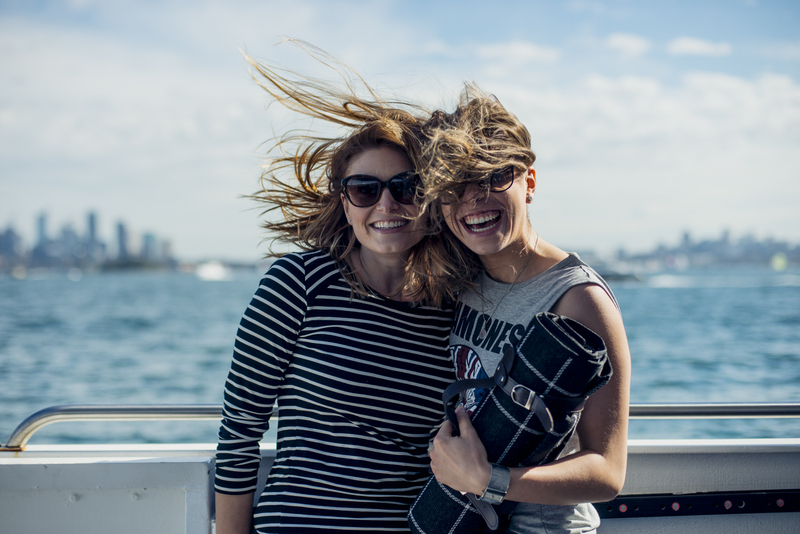 We got on the ferry at Rose Bay which is the last ferry stop before Watsons Bay and a beautiful part of Sydney to wait around for the ferry to arrive. 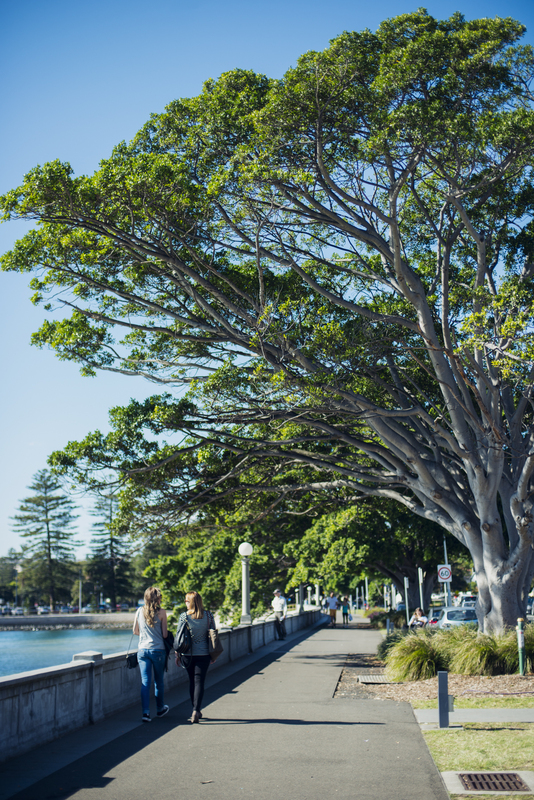 I easily found four hour free parking on New South Head Road, adjacent to the Rose Bay promenade. 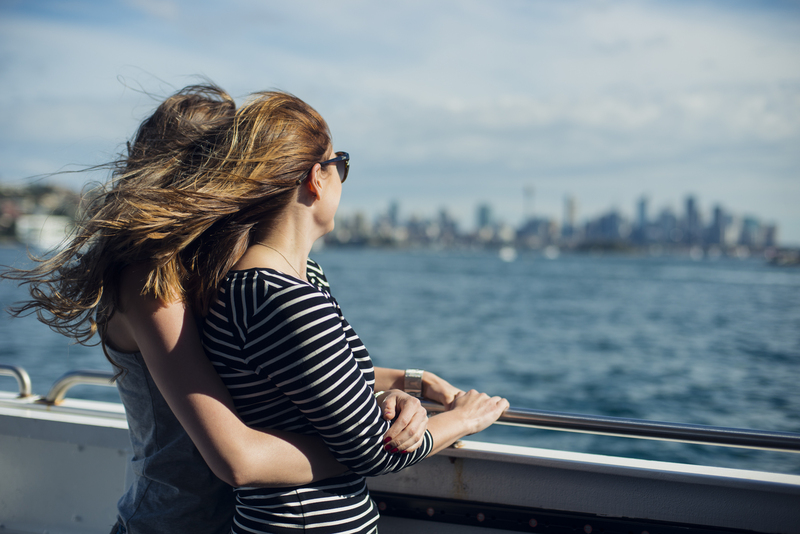 For us, it was a short but joyous ride with the wind in our hair and smiles on our faces as we soaked up the salty breeze and harbour views from the deck. 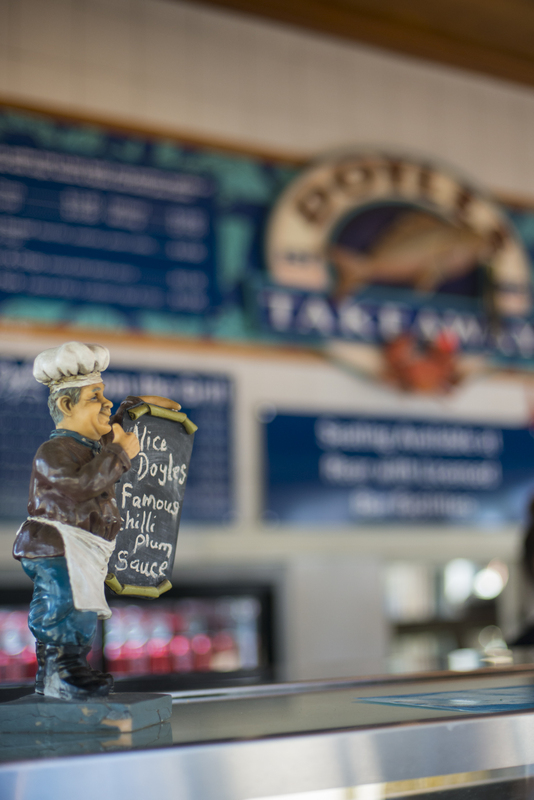 We arrived conveniently at our next destination – Doyles on the Wharf – which is located as soon as you get off the ferry. 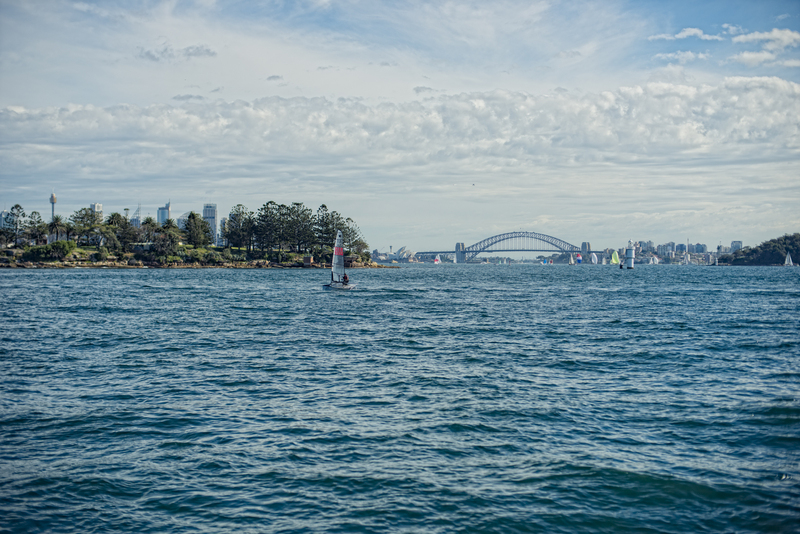 Ferries operate from Circular Quay to Watsons Bay between 10am and 3pm weekdays and between 9am and 6:30pm weekends and public holidays. Check the timetable to be safe. If you want to stretch out the tourist and/or ferry experience, get on at Circular Quay. 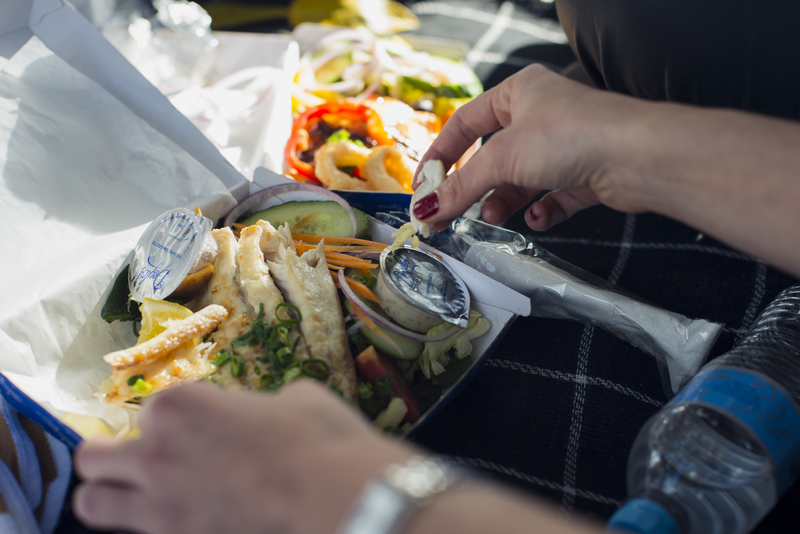 If we’re talking Watsons Bay and fish and chips, we’re talking Doyles. 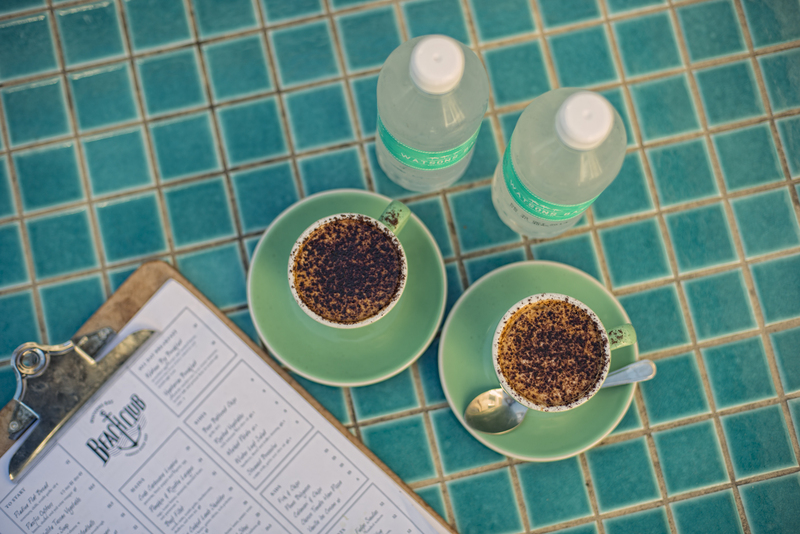 Doyles is a Sydney institution owned and operated by the same family for over five generations since 1885 (!) 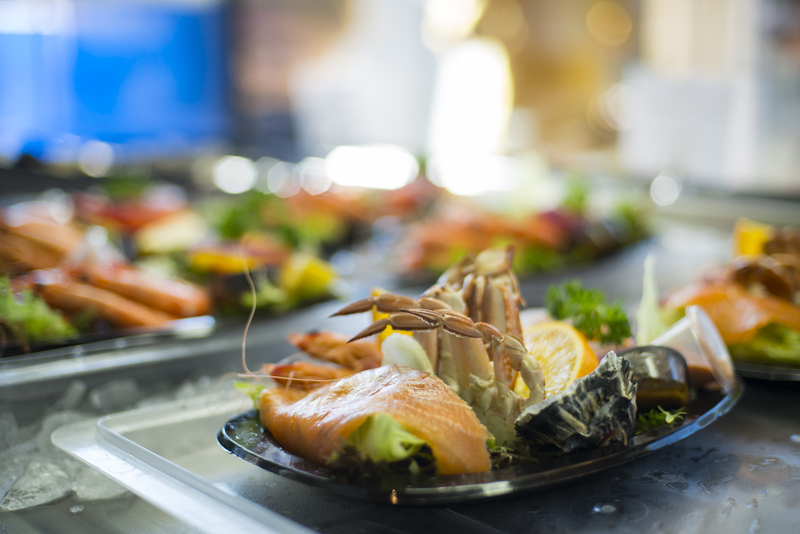 which makes it Australia’s oldest seafood restaurant. You can therefore be assured they know all things seafood. 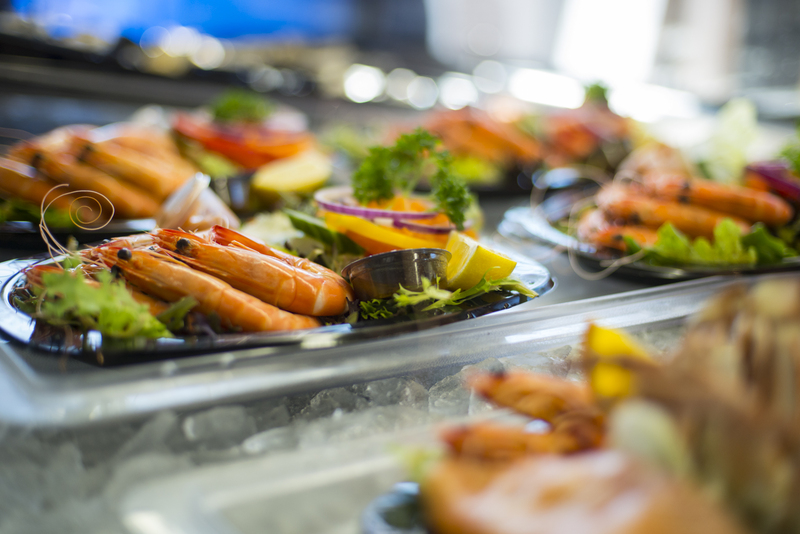 The menu has a great mix of grilled and battered options as well as fresh seafood packs and oysters, so you can go as light or as filling as you like. I’m not generally a fan of batter so I ordered the grilled barramundi pack, but I managed to distract Kiki (cue point in opposite direction with loud, “What is THAT? !”) to pinch one of her calamari rings. The batter was light, crisp, and delicious and not at all ‘gloopy’, which is how I usually describe battered stuff. Next time, I will definitely be ordering the calamari as well! The tartare sauce that came with my fish had the perfect balance of sweet and sharp and a nice lemony zing. 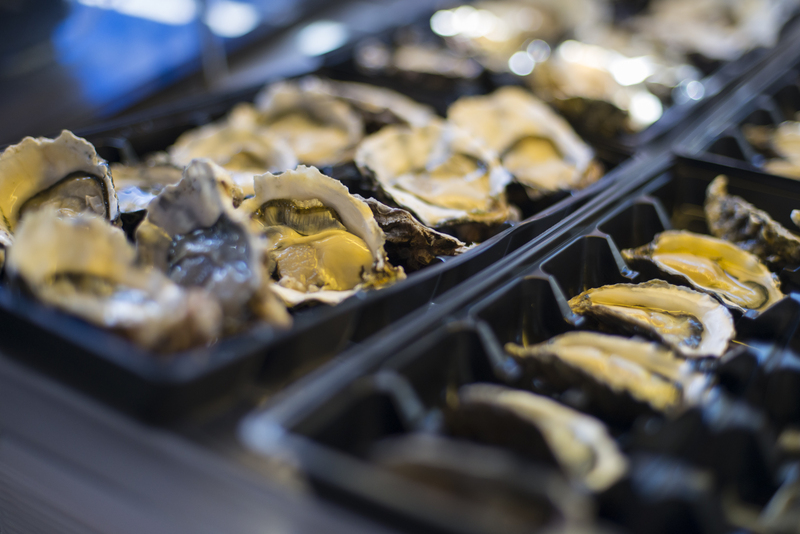 Oh and the oysters? Well, they were as amazing and fresh as they looked! 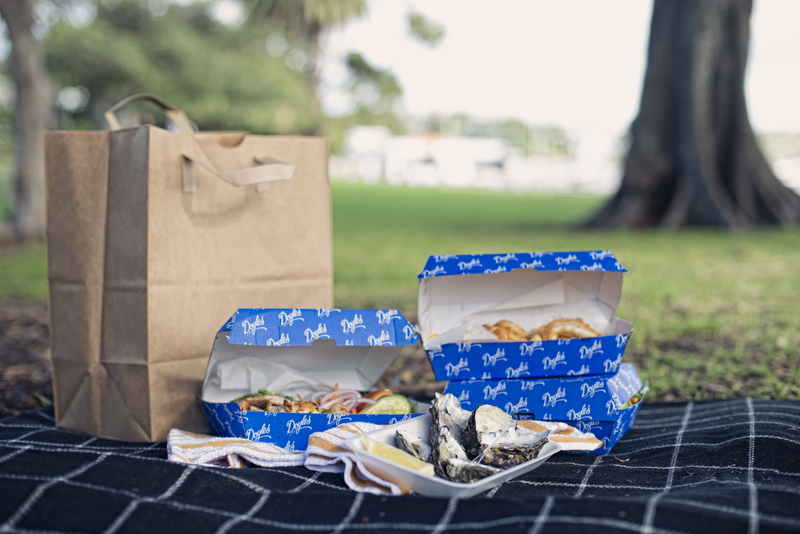 If you’re after a more upmarket experience sans picnic blanket, you can head to the restaurant, Doyles on the Beach, which is just opposite Doyles on the Wharf. See the Doyles website for more information. 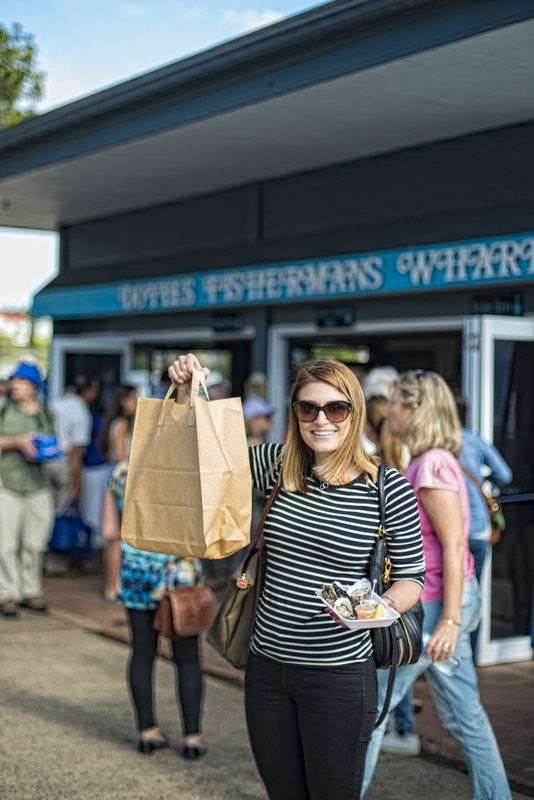 Thanks to Doyles on the Wharf who supplied our delicious lunch! 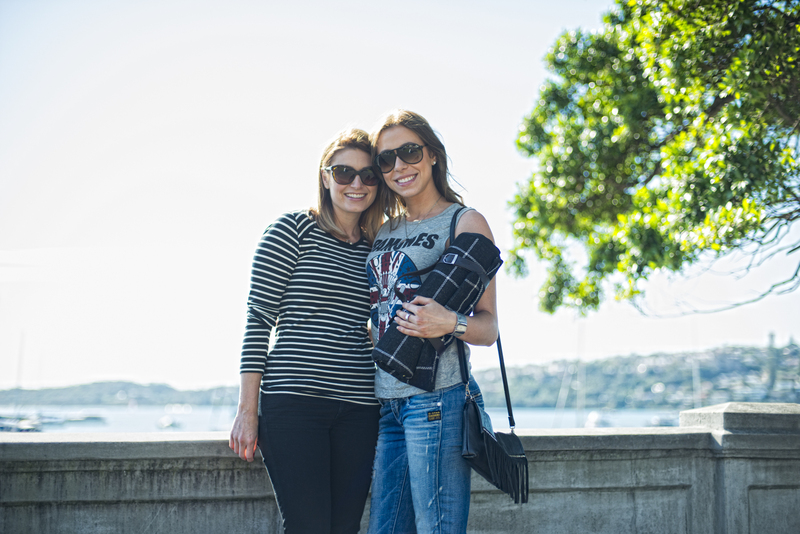 Marine Parade, Watsons Bay and just opposite Doyles on the Wharf! 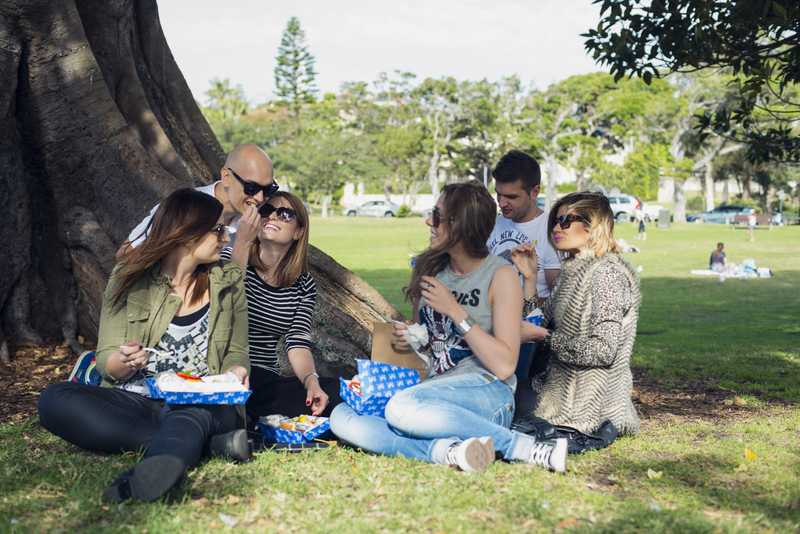 Robertson Park in Watsons Bay has been a popular spot for picnickers since the land was handed over to the public in 1906. I’ve done my research and according to the 1910 Tourist Guide to Watsons Bay and Vaucluse, it was named an ‘agreeable resting place for visitors’, and yes, I have to, well, agree. Why jostle for a table at a crowded cafe when you can have perfect, uninterrupted views of the Harbour on your own picnic blanket?! We set ours up under a beautiful old fig tree with leaves that gently rustled with the breeze as we settled in to enjoy our fish and chips. It was so good that there was nothing left for the seagulls. After lunch, we took a stroll past lines of boats, feeling like we were somewhere far, far away. Proof that doing something ‘touristy’ in your own city will give you that magical holiday feeling. Robertson Park has all the facilities you expect – toilets, children’s playground, park benches and tables – and some you don’t expect – a rotunda and ferry access. See the Woollahra Council website for more details. I know we have so far specialised in delicious takeaway coffee enjoyed via our picnic blanket, but sometimes opportunities come up in life that you don’t plan for and that you cannot say no to. This was one of them. As we strolled past the Watsons Bay Boutique Hotel, a glamorous watering hole perfect for watching the sunset over a beer, our eagle (or seagull) eye spotted someone from afar eating an ice-cream sundae. We headed inside and noticed the Hotel also did Toby’s Estate coffee (tick √) and so placed an order. 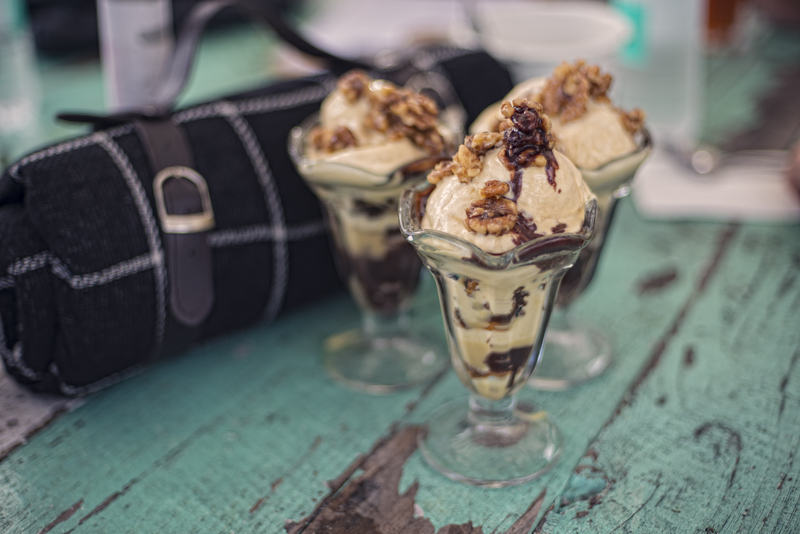 And while we waited, we investigated the menu and realised the sundae was no ordinary sundae – it was a chocolate fudge brownie sundae with salted caramel ice-cream and candied walnuts. Yeah, like we could say no to that! 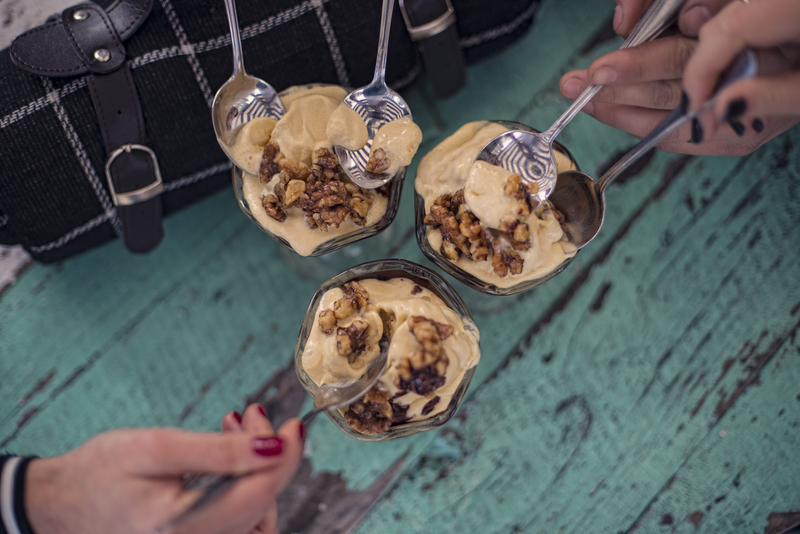 Our only disappointment was the size of the spoon provided – the way the sundae glass is shaped meant we couldn’t completely get to the bottom and it was too good to leave even just a little bit behind. 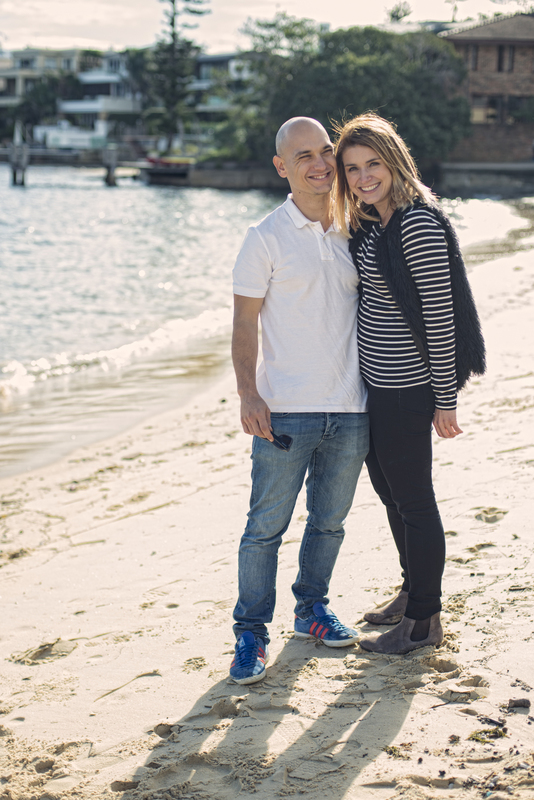 Check out the Watsons Bay Boutique Hotel website here. You can also get takeaway coffee to enjoy on your picnic if your sundae willpower is stronger than ours! → Go for a walk: Check out The Gap – an ocean cliff on the eastern side, which has views to Manly and the Pacific Ocean, as well as Hornby Lighthouse for great views. → Go for a swim: In summer, bring your swimmers for a nearby dip in Camp Cove. If you forget your swimmers or are simply more daring, then head to Lady Bay Beach (a legal nudist beach). The other night, I had to go to Westfields to pick up a birthday present. Whilst I was there, I thought I might check out new season knitwear and four hours passed without me even noticing. Four hours. I heard the 15 minute closing announcement in David Jones and thought, “How the bleep did that happen? !” Time had simply evaporated as I unconsciously wandered without purpose or reason. I left with the frustration that I had spent almost a quarter of my day in a vegetative retail state. On the other hand, what Mark and I have been noticing from our picnic escapades is how ‘full’ our time picnicking feels. 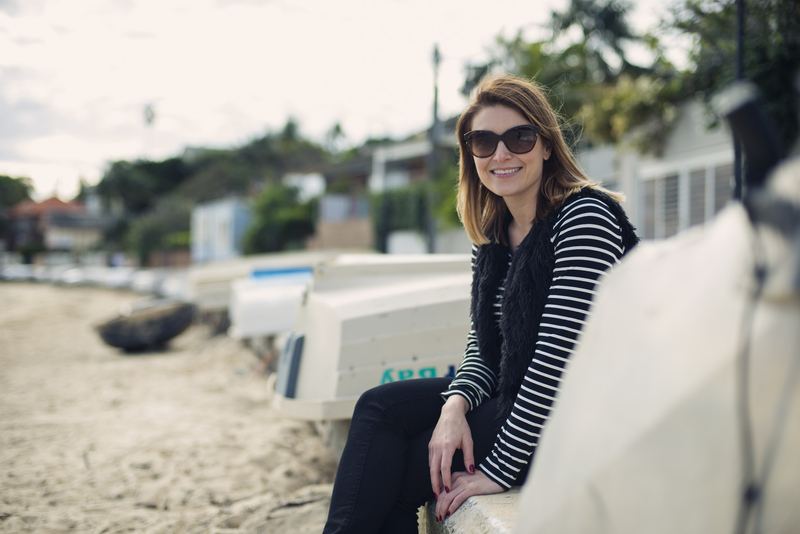 This Watsons Bay adventure took the same amount of time as my shopping blackout period but there was so much more ‘bang for buck’, so to speak. Coming up on The Picnic Press: If you’re a dog lover, you will love what we have in store for you next week, plus we share our first recipe! 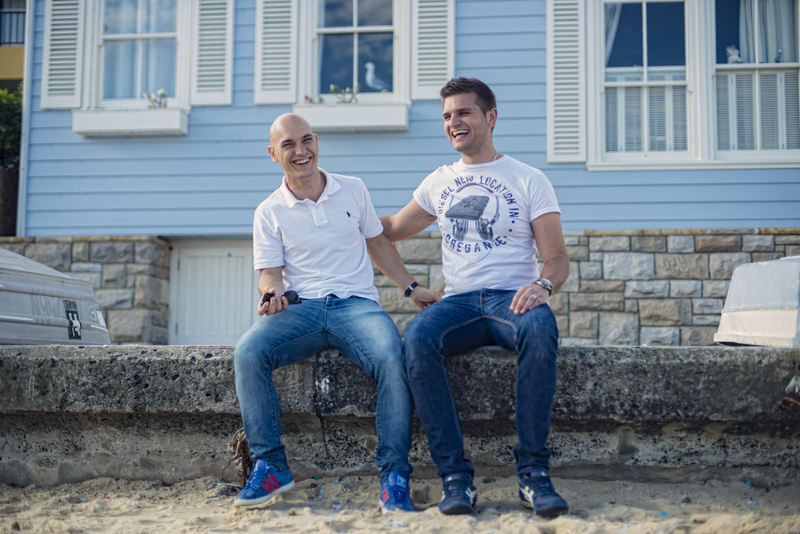 P.S If you enjoyed these photos, check out Mark’s professional work at Mark Jay Photography and on Facebook.